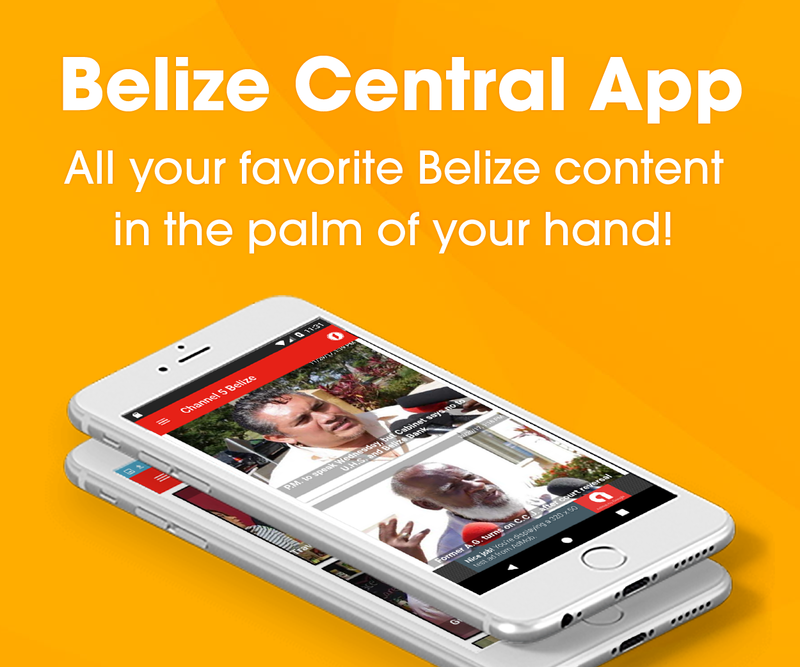 At around ten-thirty this morning, tensions were running high as members of the Guatemalan Armed Forces attempted to block the path of members of the Belize Coast Guard. Video footage of the event captured by Wil Maheia of the Belize Territorial Volunteers clearly shows three Guatemalan gunboats in Belizean waters. 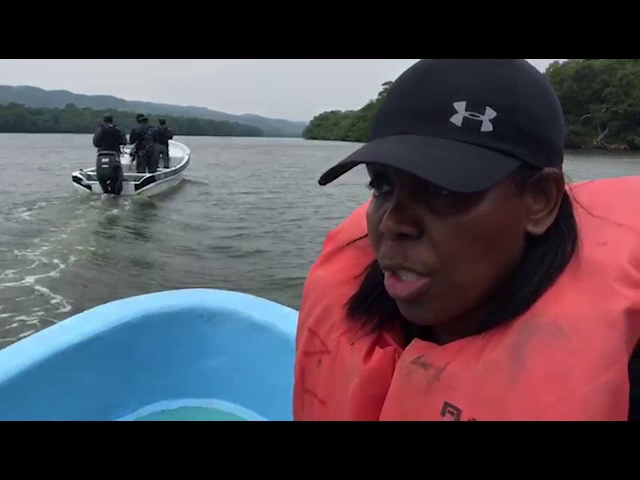 Late this evening, the Ministry of National Security issued a statement in which it confirmed that the visitors were being escorted by Belize’s security forces at the Sarstoon Forward Operating Base when they were intercepted by three Guatemalan vessels that blocked their passage through the river. 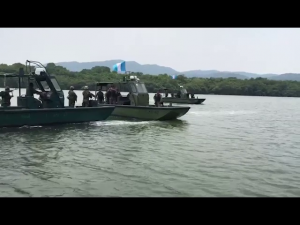 The Ministry says that after ‘making several attempts to outmaneuver the Guatemalan Armed Forces vessels to no avail, the visitors and escorts retracted from their attempts. This incident has been reported to the Ministry of Foreign Affairs and a strong protest is being lodged to condemn the actions of the GAF. 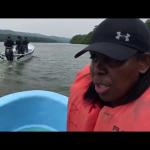 The Government’s says that this latest act of Guatemalan Armed Forces ‘marks a higher level of interference by the Guatemalans and is discussing an adequate diplomatic response.’ In the following video clip, Belizean Rhenae Nunez explains what she is seeing during her first trip to the Sarstoon. Following that incident, the security forces at the Sarstoon F.O.B. conducted a routine patrol around Sarstoon Island and had no resistance from the GAF. The Ministry notes that the Guatemalans seemed to have been aware that Maheia was visiting the area and had deployed reinforcements to deliberately block his entrance.